Fountain’s collection of poems explore the changing cultural landscape of the contemporary Southwest, and are interwoven with references to a sixteenth century conquistador who originally settled the area. Join us for lively discussion on great works of fiction and non-fiction inspired by the vast and varied experiences of the American West. We meet monthly in the Clingman Education Gallery at the Briscoe Museum. 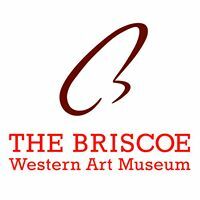 Part of "Tuesday Nights at the Briscoe" - FREE ADMISSION from 4-9pm! Briscoe Book Club is also FREE. NOTE: This month's Briscoe Book Club is held one week later than usual. We normally meet the second week of the month but are are meeting the third Tuesday in November.